There are spoilers throughout this review. Turn back now if you want to avoid them! The rebellion is in danger of being crushed by the First Order. Rey has located Luke Skywalker and hoeps to have him join the rebellion to infuse their efforts with hope. Kylo Ren struggles with the implications and obligations that his ancestry have on his destiny. Supreme Leader Snoke has the military and aspects of the Force at his command. The rebellion has been reduced to only a few fighters, and though hope is what they need to reignite their efforts, Luke’s grief and guilt over a past choice leave him unwilling to join. 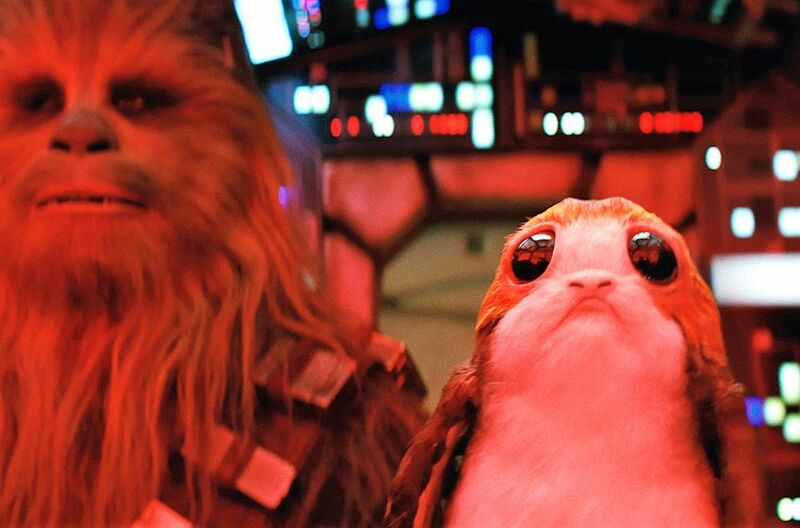 The Star Wars films are immersed in questions of family relationship. Kylo Ren continues to try to live up to his image of his grandfather, Darth Vader, and in a previous film he kileld his father. Now, he is given the opportunity to kill his mother. The film shows several misunderstandings, and it can underscore the importance of not making assumptions. Luke misjudged Kylo. Kylo misjudged Luke. Poe misjudged one of his leaders. These misevaluations were all uncharitable, and all led to dangerously broken relationships. Luke and Kylo each give Rey their understanding of the same event, and we see that neither is lying, but one initially held back some information, and the other misunderstood the situation – his telling is true from his perspective; he is not lying, but he is sadly mistaken. There are some good teaching points here! 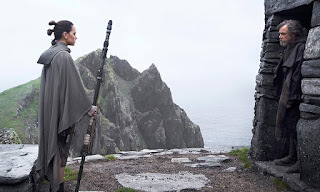 Luke asks Rey a question that catches my imagination – why are you here? He’s not asking why her errand needs to be accomplished – but instead, why she is the one to do it? It makes me think about life: sure, I’m a social worker and I do Adoption at the Movies because there is important work to do – but why is it me doing it? Sure, you’re a foster parent because there’s a need – but why is it you? Why do we do what we do? What fuels our mission? I wasn’t expecting this film to be such an opportunity for introspection! 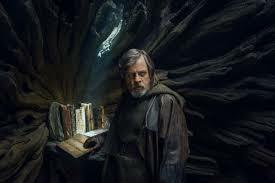 Luke is advised that failure is the greatest teacher. He ultimately finds peace and purpose, and the rebels find hope. Kylo Ren has an opportunity to kill his mother. Kylo’s uncle thinks about killing Kylo. Kylo tries to kill his uncle. 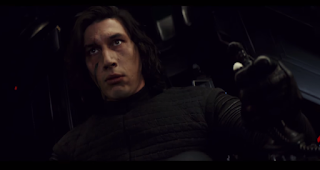 Kylo believes he sees his mother die. 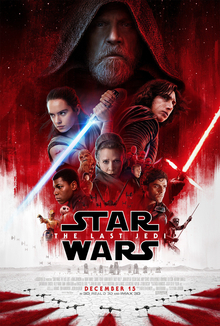 The Last Jedi is one of my favorite Star Wars films. It is a well-made, engaging story that is worth revisiting. I like the messages of hope, peace, and understanding that can be drawn from it. Kylo does say some hurtful things to Rey that could be particualrly painful for some viewers who are touched by adoption, although the lines might go over the heads of younger viewers. Kids ages 7-14 could have challenges with what Kylo says to Rey; parents might choose to skip this on account of those lines of dialogue. There might be value in watching it first and then watching it with your kids, and at the very least, parents should watch it with their kids. I’ve tried to capture most of the relevant, concerning dialogue in the Concerns section. For kids for whom this isn’t an issue, this film does have some violence (one character gets sliced in half by a lightsaber), but it should be fine for pre-teens and teens. What do you wonder about your parents? What do you imagine about them? What was Luke’s biggest mistake with Kylo Ren? What was Kylo Ren’s biggest mistake? What do you imagine about Rey’s parents? Rey is from Jakku – where are you from? What failures have you learned and grown from?